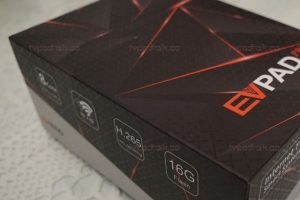 It’s been a while since we did a full review of a device. Ever since TVPad returned back normal, we had only reviewed the BlueTV and HTV5. 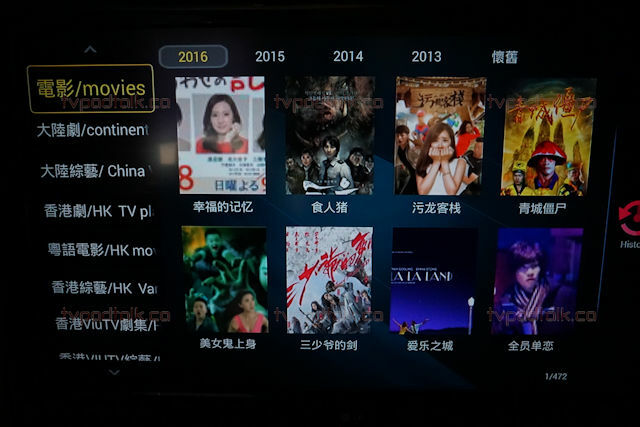 The Asian IPTV scene had stayed relatively quiet. 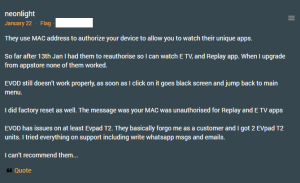 We have first heard about the EVPad back in early 2016 via this post by our forum poster (bigpapi1). 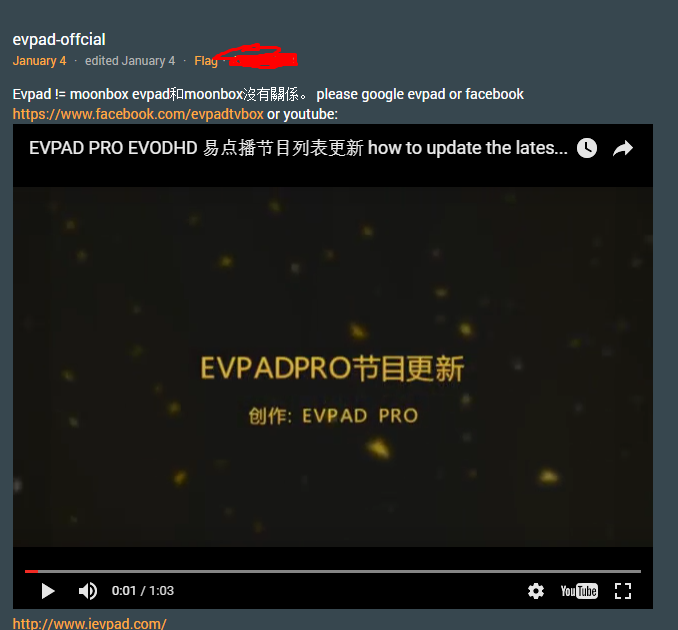 People have said and believed (myself included) that Evpad came from the same company as Moonbox. However, the spokesperson of Evpad had claimed they are not. Although they are using the same apps (different names). We won’t be holding any judgement, so… be your own judge. 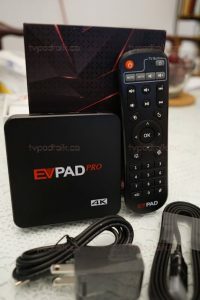 The packaging of the EVPad Pro 4k is a standard no thrills affairs., very basic similar to BlueTV’s. Compared it to HTV’s packaging, you will definitely notice the difference of the premium feel. 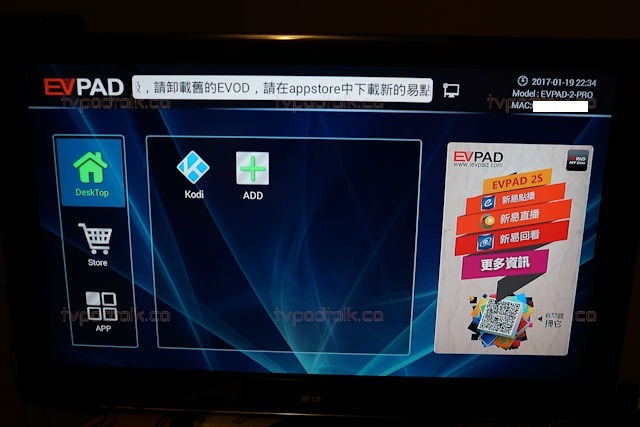 Upon opening the box, you will see the EVPad itself on the top shelf while the remote and the power adapter on the bottom shelf. You will find the following inside. It’s worth noting the EVPad Pro does not come with manual. The connection instructions are printed on the bottom side of the box. As noted in the video review, I am happy to see this box came with a USB power adapter. BUT I am quite sad to see they are using a standard power supply prong instead of using a microUSB cable to power up the box. I mean… cmon ! 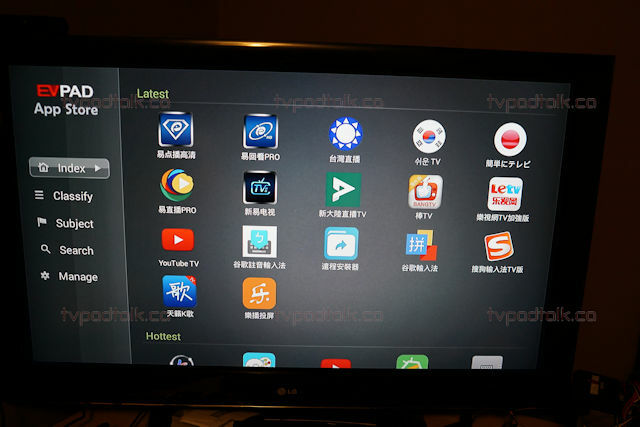 The remote is a standard remote you will see with any Android media box. It is very similar to the Ubox 2 remote. The EVpad Pro remote is also capable to program the top buttons. At the front of the EVPad Pro, you will find 3 small notification LED. Power, Net, IR. The Net LED will flash green when the ethernet is plugged in. The status does not reflect if you have WIFI connection. So the connection status feature is not as functional as HTV’s. The IR LED will flash amber when remote is pressed. 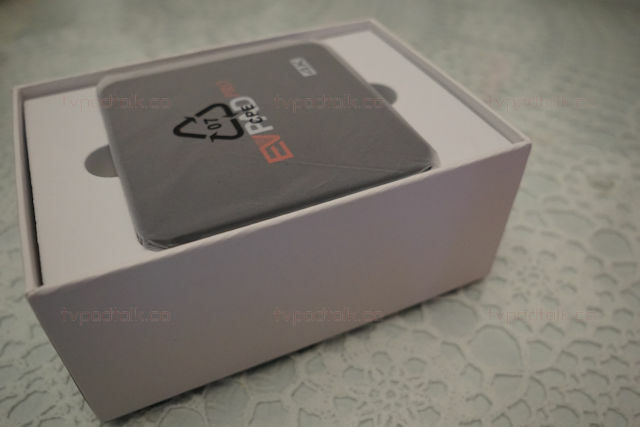 The EVPad Pro 4s is running on Android 4.4.4. 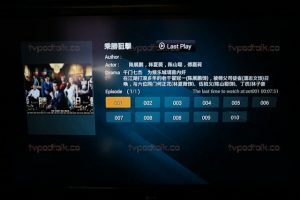 Although it’s not a big issue on Asian media boxes like these, it would have been a nice touch for them to at least bring itself to Android 5. The box itself boot up is quick and runs pretty snappy overall. This unit does have GooglePlay integration. Upon boot up you are greeted with a simple interface. On the left, there are three basic categories. Desktop, Store, and App. In Desktop, you can add your frequently used apps for easy access. In Store, you only get Google Play and the EVPad Store. In App, you will see all the all apps (including Settings) located on the device. Overall, not much you can customize on the EVPad. The EVPad app store is your basic affair. You can quickly download and install any apps for it. Although we have to say the EVPad App store is almost if not the same as the Moonbox App Garden. Upon installation of any app in the EVPad app store, they are added to the Desktop section automatically. 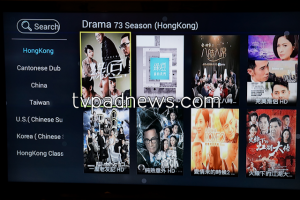 We are fairly satisfied with all the official live tv app bundled; EasyTV (HK/Macau, HongKong Cable, Mainland, Taiwan, Malaysia & Singapore, Japan, Korea, India, North America, Europe, Thailand, Vietnam, Arab, Sports, Movies, Documentary, Brazil), ETV Pro (HK, Mainland, Taiwan, Movies, Sports), Mainland Live, Taiwan Live, Korea Live, Japan Live. Most of the Live tv apps load the stream quickly without any issue, streams usually start within a second. But do have the expectation that some non-popular channels won’t work once in a while. Major US network such as FOX, ABC, CBS can also be found. 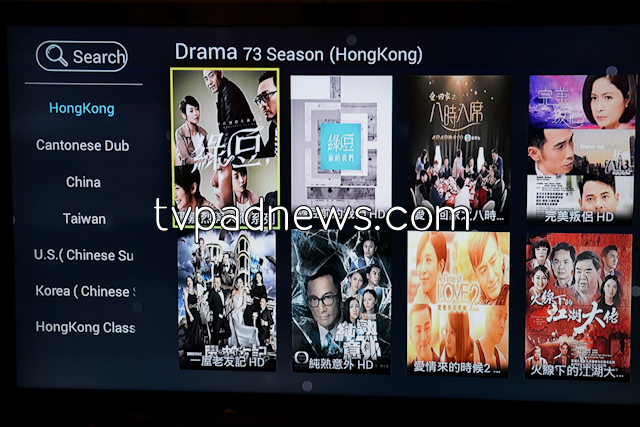 Both Canada’s City TV and US’s TVB HD is listed but the streams don’t work when we tested. Edit: CP24 is no longer on the app. 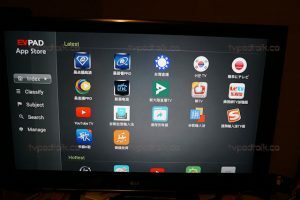 You can see most of the live tv in action in our video review. For the Vod app, it’s a pretty standard. One complaint we have is the category texts are too big in size to display both Chinese and English. Rendering the English almost pointless. We would much rathered to have a separate app for each language so you can see each category properly. 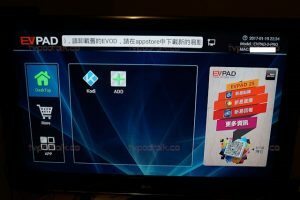 See the comparison between EVPad and BlueTV below. The layout is almost identical but you get a much cleaner look on the single language on the BlueTV vs dual language on the EVPad. Based on the screenshots from earlier version of this app, that wasn’t always the case. So I hope that change it back in the future. Once you selected a video to watch, the selection screen is pretty standard. Nothing much to complain about. We did find the issue of missing episodes. 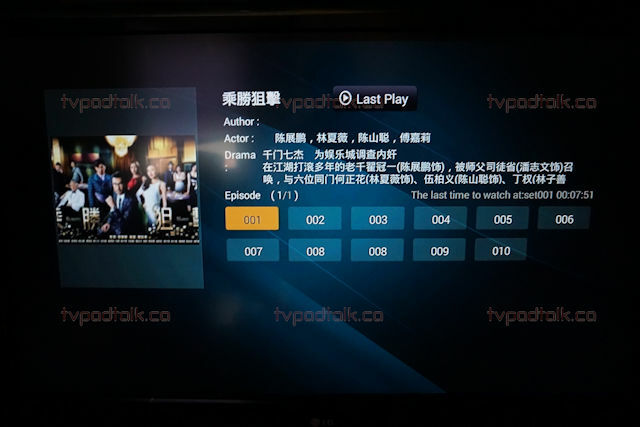 We randomly loaded up a drama (Hong Kong, 2016, 律政強人) and there are only 8 episodes for this series listed. Meanwhile, there is supposed to be 28 episodes. We are not sure if this is just a one-off case, since the other ones we tried all have full episodes. For folks that regularly follow drama series, this could be a potential problem down the road. For the Playback app, it has 7 days playback (technically only 6days) for lots of channels. the layout is fairly simple to use. During the video review, there were a bunch of channels we weren’t able to get it to load. However, it seems like that has been fixed for majority of the channels. A few we tested at the time of the written review are still down. And this is where EVPad seems to start having problem as a company as a whole. 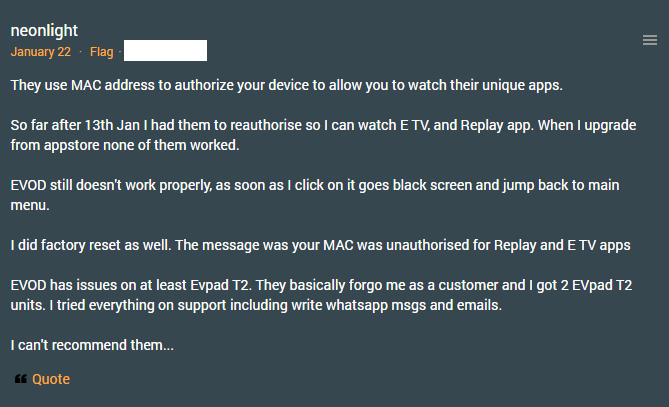 One of our forum members had reported the following about their experience with EVPad non-responsive support. Based on our Whatsapp conversation with them, it seems to align with the member’s story. 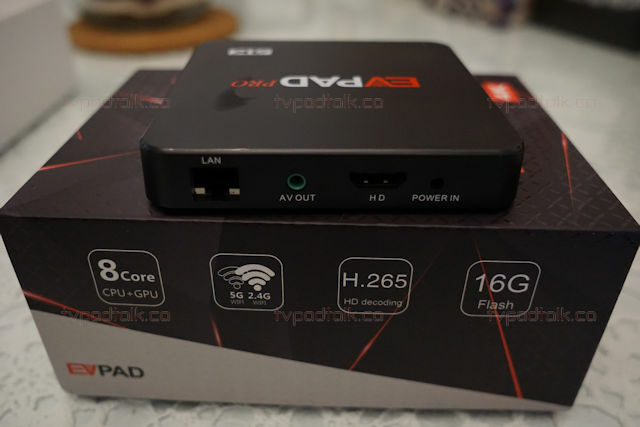 Putting the customer service experiences aside, the EVPad Pro 4k is definitely an interesting box. It does the basic Asian content plus more (Live Korean, Live Japanese, Live North American). Should you buy this as a primary device? In our opinion, No. Due to the facts there are still rough edges on the streams, the app itself and also at customer service (If you intend to provide Whatsapp support, then answer it!). Should you buy if you only watch Chinese content on the device? In our opinion, No. There are better devices out there that cost roughly the same price. Should you buy this as a supplemental device? In our opinion, it is a worthy consideration. The added North American live TV channels is definitely a plus.